This conversation on the signs, causes, and treatment of aging skin was sponsored by Anaiti. View our complete disclosure policy here. We are born with soft, smooth, and glowing skin. But unfortunately as we age our skin undergoes changes. Our once plump and smooth skin becomes dry, thin, and saggy. Instead of glowing, our skin becomes dull and pigmented. Wrinkles and fine lines form around our eyes, nose, and mouth. Aside from growing older, there are several other factors that contribute to aging skin. Genetics and lifestyle also play a part in determining the rate at which our skin ages. Factors such as sun exposure and smoking can contribute to the premature aging. MATRIXYL® stimulates the fibroblasts that produce collagen to keep your skin elastic, healthy and smooth. It has been reported to reduce the depth of wrinkles by over 30%. RENOVAGE® works at a cellular level to target the signs of aging with skin hydration, decreased pigmentation, increased firmness and tone, and reduction in appearance of fine lines and wrinkles. If you are interested in a comprehensive daily anti-aging cream, I would recommend The Advanced Age-Defying Face Cream by Anaiti. This luxurious cream contains all three of these powerful and well-researched anti-aging ingredients (Matrixyl®, Renovage® Hyaluronic Acid). Together the ingredients work to smooth, hydrate, and firm the skin, fill in fine lines and wrinkles, shrink pore size, and even skin tone. When used daily in both morning and evening, you should begin to see results in as little as a few weeks. 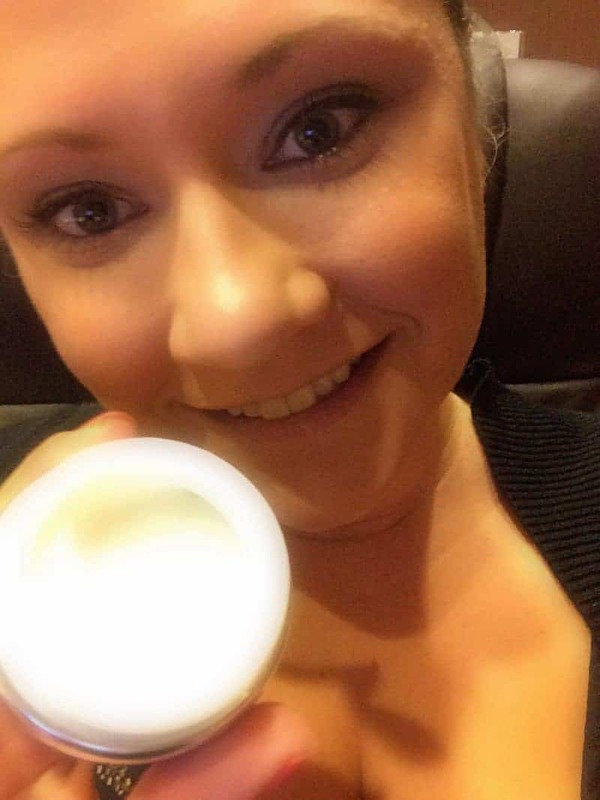 The Advanced Age-Defying Face Cream can be purchased on Amazon here (2-day shipping is FREE with Amazon Prime). Anaiti's line of skin care products are backed by a 100% satisfaction guarantee, so you can purchase with confidence. I have a few small laugh lines that I would LOVE to see go away. Permanently. This sounds like a great product! I’m interested in learning more! I will definitely be checking put this product–I have a couple of spots on my face that could use lightening! This is very interesting. I would tell this to my mom, for sure they would loved this too, this product will reveal her natural beauty. I love this for my mom, she would love to use amazing product like yours. I have two laugh lines or wrinkles that I wish would go away, but otherwise my skin is holding up pretty nicely. Thank you for sharing these treatments of aging skin. These sound like great products. Getting to the age where I should be thinking about these type products. Thanks for the info. That cream sounds good. Sounds like very good product. This is a very educational article about skin treatments. I just reached retirement and I have a few areas of concern with my skin. Thanks for the info! like this to point us (somewhat) in the right direction!! The Advanced Age-Defying Face Cream by Anaiti sounds wonderful. I’d love to try it. I do try to stay out of the sun, but was bad when I was younger, I need the help! Thanks for the review. Sun exposure is one thing I’m paying for now that I’m older. I’m trying to instill good skincare habits in my daughter. Sunscreen is key and I don’t think teen years are too early to start. There is no Anti-Aging Magic Potion that will clear your wrinkles overnight, but with discipline and a good Anti Aging Skin Care routine in place, you will be on your way to looking younger for longer. The things you covered through the post are interesting. Thanks for sharing buddy!